Yarn and Fiber Happenings: Bagsmith Knitting Needles and Tunisian Crochet Hooks are Here and in a BIG Way! Bagsmith Knitting Needles and Tunisian Crochet Hooks are Here and in a BIG Way! Now available all sizes in Bagsmith Big Stitch Knitting Needles and Tunisian Crochet Hooks as well as all the books to make it easy! 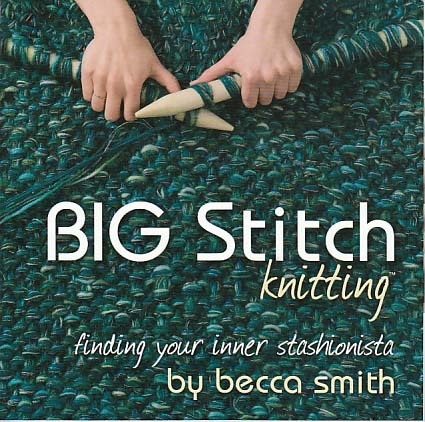 Big Stitch Knitting Needles are available in US 35 (19 mm) and US 50 (25 mm) - now thats BIG! Tunisian Crochet Hooks are available in a variety of sizes including N (10 mm) through U (25 mm) and come in lengths from 18 - 30 inches! Wow! We are very intrigued with the Tunisian Crochet Hooks for a couple of reasons - first, they are very different and a new way to work with yarn. Second, the smaller hooks make quick and fabulous shawls in either a variety of yarns or just a couple of different colors. 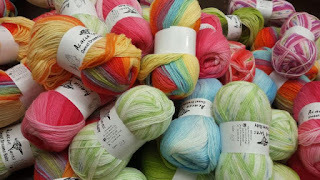 Feel free to mix and match fibers and colors and have lots of creative fun! 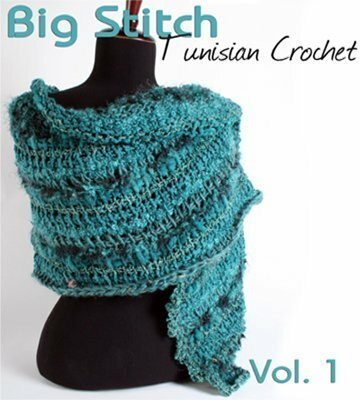 Check out the cover of the Bagsmith Tunisian Crochet Book - the shawl on the cover is gorgeous and made with a multiple of yarns. Simple instructions are in the beginning of the book with pictures! You will be "Tunisian-ing" in no time! Need help picking some yarns - choose a few and give us a call and we are happy to work with you to choose perfect colors and texture combinations! Also currently in stock all the colorways of Bagsmith Bumps! 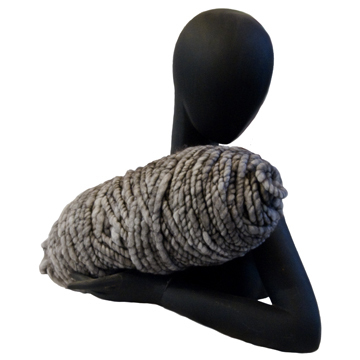 These giant 125 yard, 40 oz skeins of yarn are 70% Alpaca, 15% Nylon, 15% Merino Wool! They are BIG, soft and very warm! Recommended needle is a US 50 to achieve 1 st per inch gauge! Great for 1 bump stoles! The bumps also work up fast for throws and rugs! Fun, warm and wonderful! Have you ever been counting your stitches and someone is going on and on and on? We have a shirt for you! The Knitting with Friends Baa Baa Baa t-shirt comes with the cute little Alpaca and two sheep friends with the line "I know your talking, but all I hear is Baa, Baa, Baa" These are very cool t-shirts and available in the new Deep Purple, Sky Blue, Dark Gray and Light Green colors in sizes Small - 2x. Size 3x is available in the Deep Purple as a special order!